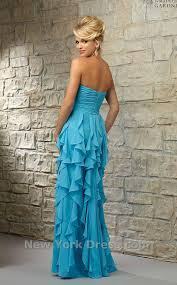 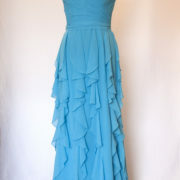 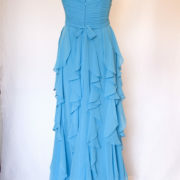 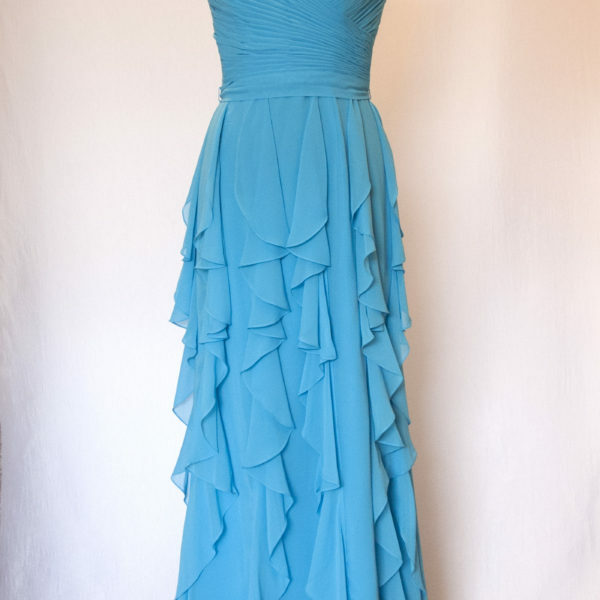 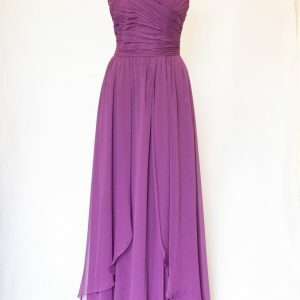 Ruffled multi layered chiffon bridesmaids dress with sweetheart neckline, matching Tie Sash. 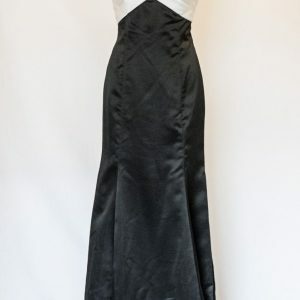 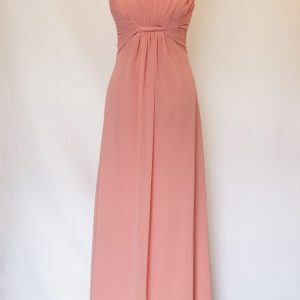 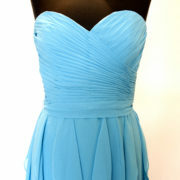 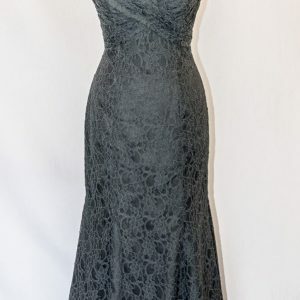 Mori lee bridesmaid dress. 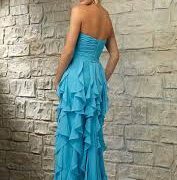 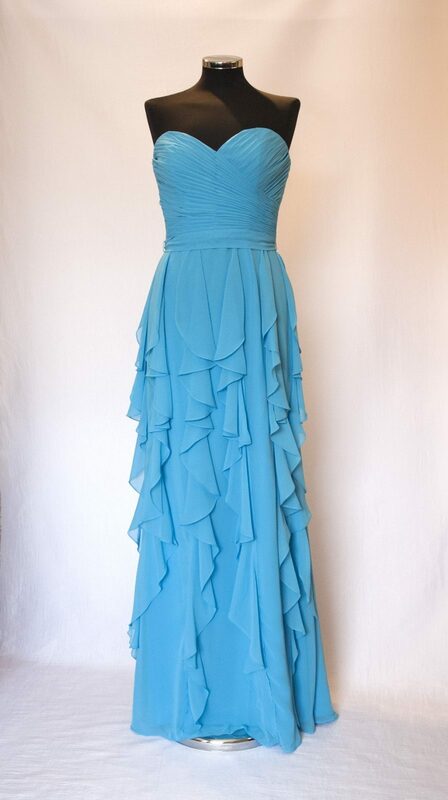 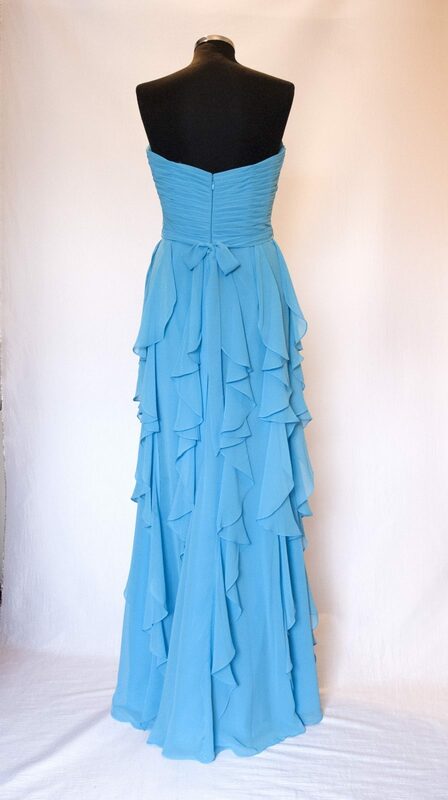 In the most beautiful shade of Peacock this is a gorgeous Ruffled multi layered chiffon bridesmaids dress with sweetheart neckline, matching Tie Sash.